The last week may go down in history as one of our worst - and that's saying something. It is in light of this nightmarish few days that I say that no one has as good a dad as Scarlett. It started with a chaotic tone: it was the last week of school for me. I was flying from end-of-the-year picnics to ceremonies to packing for the summer. I have not yet been rehired for the next school year, so I had to apply for the opening that is my current job (teacher's unions are very confusing that way.) I also had to plan for teaching summer school. Chris was left to be a mainly full-time parent - and he rocked it. Thursday night, I went to our staff party - delicious food and fun people. I stayed later than I meant to, but I knew things were fine at home, so I let myself have fun. When I walked in the door at home, it was obvious that I had just missed the storm - Scarlett was crying, and my mom was trying to measure out the nausea medications while Chris was trying to clean up the crib. It was way past bedtime, but Scarlett had woken up vomiting for no apparent reason. We all worked to get her cleaned up and calmed down, but she kept having episodes of sickness. After 4 or 5 times, we called the oncology on-call doctor, who suggested we try to keep her hydrated and ride it out. Poor baby could not keep anything down - not water, not nausea medication, nothing - for several hours. We kept her in our bed and woke up with her every 20-30 minutes all night, going through every towel in the house. 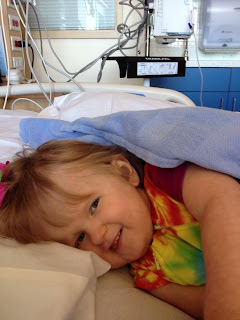 By 4 am, there was no change, and she was completely exhausted, so we called back the oncology on-call doctor, who said we should get her to the ER. We were not really surprised at this point, so we packed up (something we can still do very quickly and efficiently thanks to so much practice) and got to the ER at Stanford before 5 am. 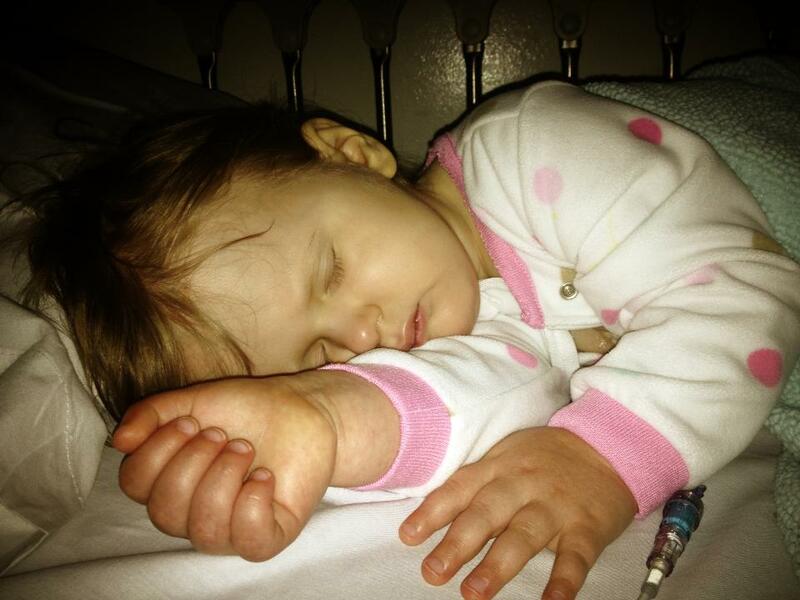 Once they got her port accessed, IV medication and fluids started, Scarlett finally slept. Everyone decided it was likely a stomach virus going through the preschool, so we all agreed she would probably be better in a few hours. But, since it's Scarlett and she is somewhat complicated, we all agreed we would get a quick CT scan just to rule out any shunt issues. Once that came out clear, and her neuro-oncologist nurse practitioner stopped in to check on us in the ER, we were free to go. However, Friday's chemo had to be cancelled until she was feeling better. We got home around 11 am. I took a quick shower, and headed straight to school, where I had to grab some supplies for my summer classroom (at a different school) and start setting up for the incoming class. I was dead tired, so we did not get too far, but luckily my principal and co-teacher were very patient and understanding, so we just called it a day and decided we would make it work. 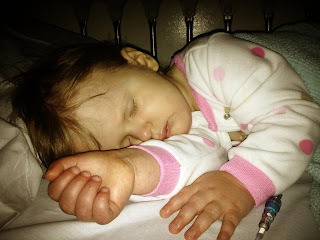 Come Saturday morning, it was clear that Scarlett had shared her virus with mommy. I spent the entire day wrapped up on the couch while Chris continued to be my hero and handle the still-recovering kid. This morning, summer school began. I wasn't feeling 100%, but it went relatively smoothly, and I feel good about the rest of the session. Chris came through yet again, and had Scarlett ready for chemo when I got home, and we jumped right in the car to go to the hospital. Little girl did great through the extra-long afternoon, and we made it home with her already asleep for the night. So, at the end of this wild weekend, I am grateful and even more in love with my wonderful husband. Scarlett is the luckiest girl I know to have such a dedicated dad. There are not a lot of guys I know who would still keep their wits about them with an all-night puking baby, then face no-nonsense doctors with patience; who would be waiting outside door with a glass of water and a warm washcloth as his wife crawls off the bathroom floor; who finds it fun and fulfilling to give his time to a garden for school kids; who knows which is the pain-free bandage and the right timing for urine samples; and, all the while, is taking French lessons and has learned three times and much sign language as I have. 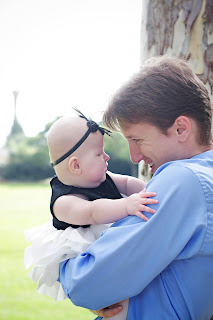 I saw a lot of posts about why some husbands were the best dads this Father's Day, but there is no way they hold a candle to mine. There is no way that I could do this without him. He is the other half, maybe more, to this team, and I will never forget the way that our daughter's face lights up when she sees him. My heart feels that way about him too, even if my face doesn't always show it. 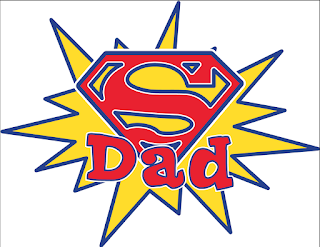 I forgot to say Happy Father's Day on Sunday. 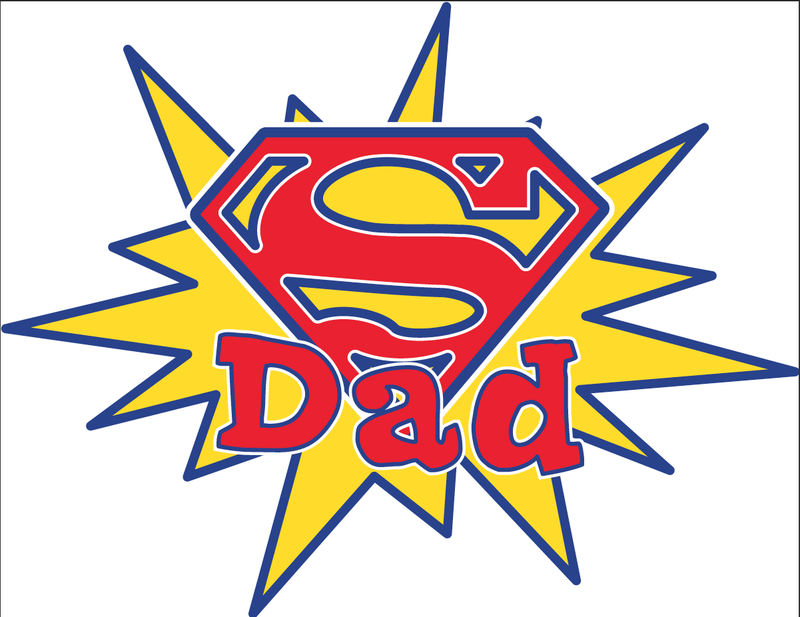 It is not about the day as much as the sentiment, but this Father's Day, he was more than any card could say. Happy Father's Day. We love you. Beautiful tribute to an amazing dad. You guys are all such fighters. Beautiful! Your words brought tears to my eyes.